Do we love doing the laundry? No. It's time-consuming and does no favors to our utility bills. In our home, it seems like laundry is a never-ending chore. With as many loads as we do each week, an ENERGY STAR ® certified washer and dryer is a must. It keeps our bills low and we like knowing that we're minimizing the impact on the environment as well! We just purchased a new washer and dryer from Best Buy this month and can't say enough about how easy they made it. The delivery men were extra careful taking them up our new stairs and had each installed in a snap. If you're in the market for a new set, Best Buy's ENERGY STAR ® certified selection is vast. They are committed to helping families through their commitment to positively impacting our environment, with a huge assortment of sustainable products and appliances. This includes their large selection of energy-efficient products, including ENERGY STAR ® certified electronics and appliances. Click on the video below to become a Laundry Star! 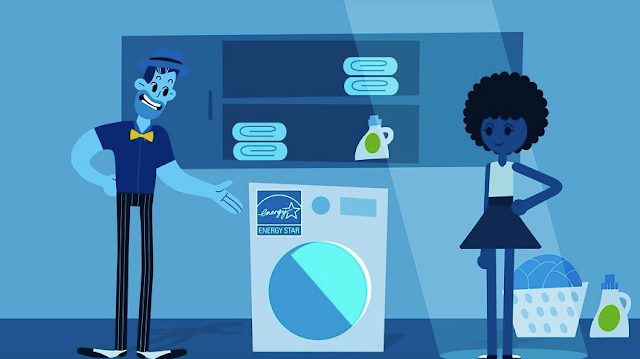 Lower Bills – ENERGY STAR certified clothes washers and dryers use less power, so we pay for less energy. In a growing number of municipalities, rebates are offered for homes that use ENERGY STAR appliances. 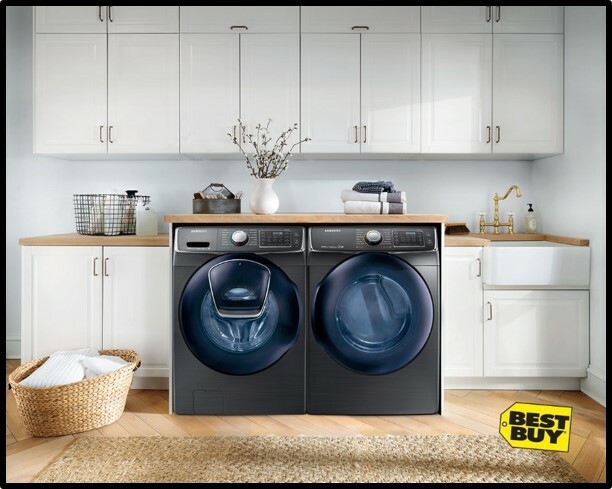 Save $490 over the lifetime of an ENERGY STAR certified clothes washer and even more with an ENERGY STAR washer/dryer pair. Minimal Environmental Impact – Saving energy means ENERGY STAR certified washers and dryers help protect the climate, which means that your kids and the planet will benefit for years to come. Longer Lasting Clothes – ENERGY STAR clothes washers use a variety of sophisticated cleaning methods that are gentler on clothes, while ENERGY STAR clothes dryers use less heat and sensor drying which reduces wear and tear on clothes from over drying. Fun Fact: ENERGY STAR certified clothes washers and dryers are typically between 25% and 20% more efficient, respectively, than standard models. Use 25% less energy and approximately 45% less water than standard models. Typically save about $45 a year on utility bills compared to a standard model. Fun Fact: If all clothes washers sold in the U.S. were ENERGY STAR certified, we would save more than $4 billion each year and prevent more than 19 billion pounds of carbon pollution annually. This is equal to the emissions from 1.7 million vehicles. Fun Fact: If all clothes dryers sold in the U.S. were ENERGY STAR certified, the energy cost savings would grow to more than $1.5 billion each year and 22 billion pounds of annual carbon pollution would be prevented. That's equal to the emissions from 2 million vehicles! Learn more here on the Best Buy blog!